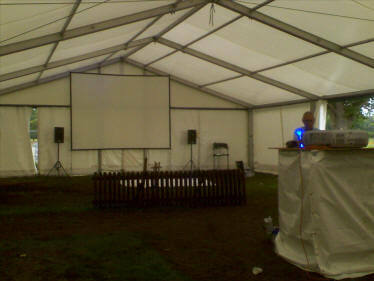 Outside Screen Hire Proscreens outside mobile cinema screens hire are one of a kind. We are able to offer large outdoor Projection inflatable screens for outside events and film screening, high quality visuals and outstanding sound systems depending on your needs. 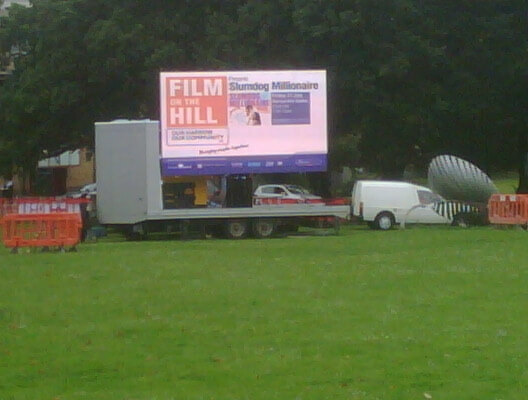 Mobile outdoor screen hire which can be hired for private or public screenings just about anywhere in uk. Our outside screens services have proven to be a great hit amongst people who have organised large outdoor events and want their events to be extra special. The LED screen panels can either be ground stacked or suspended to your specifications to suit your event needs and design. It is ideal for social club events, pubs, corporate functions, community cinema festivals. community screenings, weddings, parties, pubs and even camp sites. Mobile cinema hire. 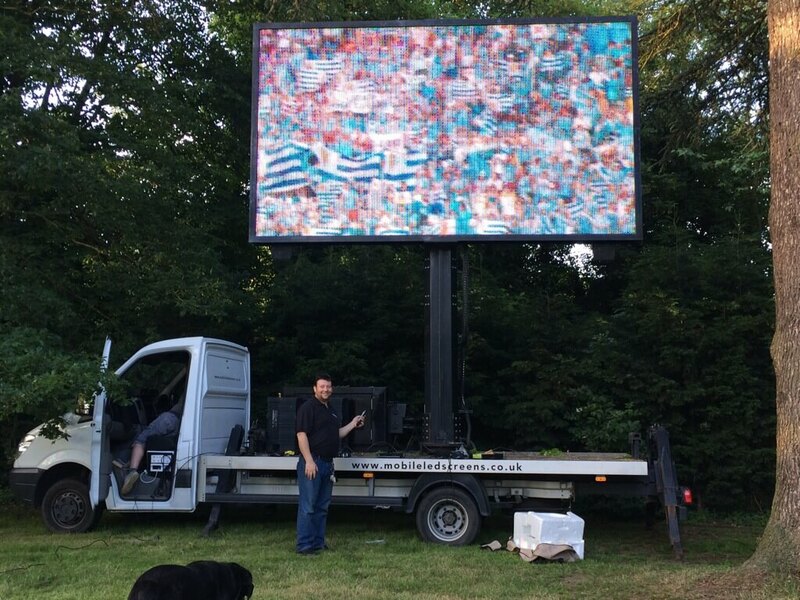 Proscreens offer a range of outside mobile cinema services for public or private screenings and can be hired just about anywhere in the U.K. Can you imagine watching a film in the great outdoors, projected on a big cinema size screen with cinema visual and sound system quality . An ideal choice for many events such as: social club events, corporate functions, community cinema and film festivals, parties and weddings. Our magnificent outside screens and projectors are the perfect solution for any event and a guaranteed show stopper for trade fairs, exhibitions, conferences and seminars. 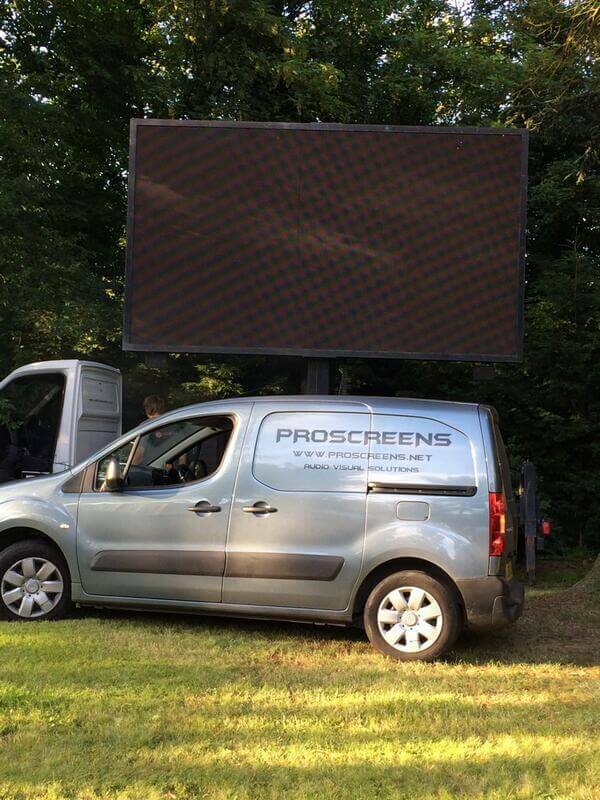 Proscreens can provide a long term or a short term projector hire service, installing and supplying presentation projection equipment and supporting products. Our team can provide technical support in selecting the right projector and screen hire services for your event. Copyright © 2018 Proscreens. All right reserved.